Blue Shoes - 2013-225, originally uploaded by Judi FitzPatrick Studio. Earlier this year, I made a donation to the Surfrider Foundation. As a thank you gift, the shoe company, Teva, sent me a coupon good for a free pair of sandals. There were several models to choose from and this pair is what I selected. Cool, huh? 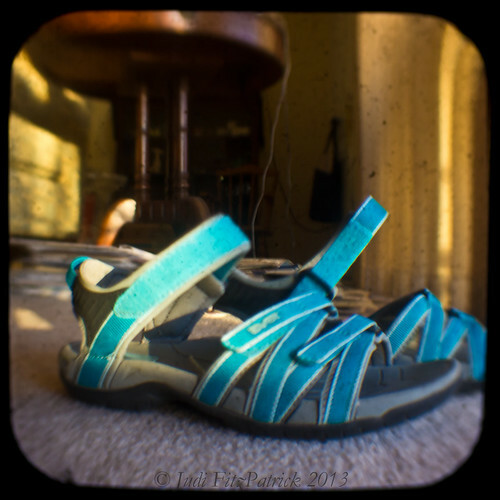 Blue Teva sandals shot with a Canon EOS-60D as seen on the viewfinder of an Anscoflex II.